If you have recently had pests or wildlife invade your attic space, then we are guessing your walls, floors, and crawlspaces are not looking their best. Bats leave behind scratch marks, raccoons can chew up your wiring, squirrels are known for messing up insulation, and every creature is sure to leave behind some droppings. Having the critters removed is a huge relief, but how are you supposed to tackle your messy attic space now that they are gone? Well, fortunately for those that trust in Smart Solutions for all of their wildlife removal needs, our services don’t end once the animals are out. Our qualified crew has the training and equipment necessary to thoroughly clean your space, as well as fix up any damages you have experienced. Learn more below. So, why not just try and tackle the job yourself? We definitely do not recommend this due to the risks associated with handling animal feces. Bat guano, for example, can cause illnesses like histoplasmosis. This is brought on by breathing in the fungal spores associated with bat feces, and it can make you very sick. Infants, the elderly, and those with weakened immune symptoms are especially at risk, and in some cases the infection can become quite serious. And that’s not all you will have to worry about. Animal feces of any kind can cause a long list of various diseases. When handling and cleaning up affected areas, it is vital to practice the utmost caution, and using the appropriate equipment is essential for keeping your body as disease-free as possible. Your best bet is to trust in our licensed and professionally trained team to handle it all. We have HEPA vacuums, powerful cleaners, and odor eliminators to guarantee a fresher, cleaner, and better sanitized space for you and your family to enjoy worry-free. Worried about all those damages? With over two decades of construction experience under our belts, you can rest easy when we are on the job. Are urine stains rotting your wood? We can replace it. 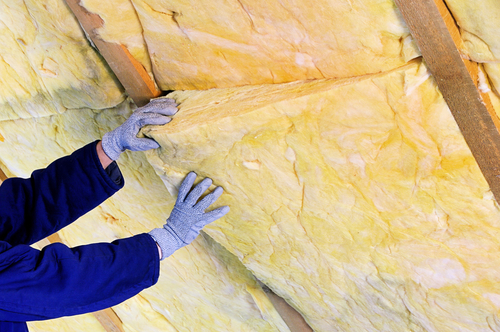 Is your insulation torn and tattered? We can address that, too. Whether it is damaged wiring, destroyed drywall, or something else, we have the expertise, the tools, and the know-how to fix you up right. Last, but not least, we will seal up your space ensuring no animals can work their way back in any time soon. Our experts know where to look and what to look for, and can ensure any potential entry points are securely blocked off. Once these problems are resolved, we want them resolved for good. Call today so we can get started on this process. The sooner we get your pests removed, the sooner your space will be back to normal. There is no time lose!